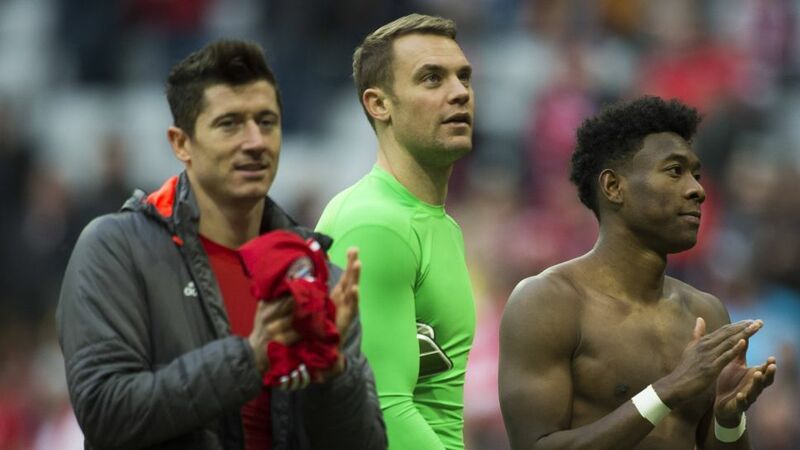 Bayern Munich pair Robert Lewandowski and Manuel Neuer are the world’s best striker and goalkeeper respectively, according to the recent ESPN FC 100 poll. The US sports conglomerate polled 60 experts from around the world, with the Polish hit-man and Germany shot-stopper coming out on top in their respective positions. Lewandowski’s five-star skills were on full-display on Tuesday as Bayern despatched Paris Saint-Germain 3-1 in the UEFA Champions League, with the striker’s opener taking him onto 52 goals in 51 games in all competitions for club and country this term. Lewy’s 16-goal haul for Poland in 2018 FIFA World Cup qualifying, meanwhile, was a European record. Watch: How many different kinds of goals can you count in this 87? Neuer has been out with a broken foot since September, but the hulking sweeper-keeper has nonetheless redefined his position. Germany goalkeeping coach Andreas Köpke said of the five-time Bundesliga champion that he'd “never seen a better sweeper, apart from maybe Beckenbauer.” Sven Ulreich enjoyed a number of smart saves against PSG, but Neuer will reclaim his place for club and country in January if he recovers as expected. All-told, there are 23 Bundesliga players past and present in the list, with Neuer and Lewandowski joined by eight more Bayern players. Left-back David Alaba (2. ), centre-back Mats Hummels (5. ), and central-mid Arturo Vidal (7.) – scorer of three goals in his last three Bundesliga games – are among the highest ranking of the Allianz Arena all-stars. Watch: A Neuer-led goalkeeping masterclass! Of the other winners in their positions; Dani Carvajal, now of Real Madrid, was given his first season of senior football by Bayer Leverkusen in 2012/13, while Kevin De Bruyne shot to prominence at Werder Bremen the same year having struggled to break into Chelsea’s senior squad.